1. Ensure you have funding and a clear job description. 2. 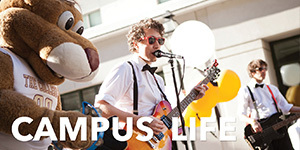 Seek applicants through Handshake, the College's online job and internship database. Follow the steps in our Employer Guide to post your position. 4. As soon as an offer is extended and accepted, complete a Hire Form with your desired start date. The start should be 7-14 days in the future to allow time for processing and for new employee orientations. Student Employment Approval Forms (SEAF) for undergraduate positions are located on the 'My Forms' tab in MyCharleston. You will receive an email confirming submission of the hire form. Graduate Assistantship Forms are located on the Graduate School's website. Assistantship Forms must be submitted to the Graduate Office for review and signature. Some undergraduate positions are staffed with graduate students, yet should be vetted by the Graduate Office. 5. 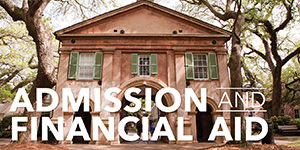 If the student employee will be paid from a Foundation Account, submit a completed Hiring Approval Form for Foundation Accounts via email to studentemployment@cofc.edu or one of the SE staff. 6. Wait to hear from us. Upon receipt of a Hire Form, Student Employment will check the student's registration and determine whether the student has been employed by the College before. If the student has not been employed before, the student and the hire manager will receive an email with information about attending a New Student Employee Orientation (NSEO). The student may not work until they have completed an orientation. Upon completion of NSEO, an authorization to start work email is sent to the student and their supervisor. Note: no email is sent for prior student employees who do not have to repeat orientation. Job assignments may only be one year in duration (365 days). There is no rule that you must input new hire forms at the beginning of each new fiscal year. Generally, use the Fall and Spring graduation dates for all employee end dates to avoid having to complete early termination forms for graduating students. Continuing student employee hire forms can be extended if needed. Job assignments may only be one year (365 days) in duration, including extensions. Expired assignments may not be extended (a new Hire Form is required). Student Employment will notify you if position exceeds one year or if the position has expired. If a student's job assignment is ending prior to the end date of employment indicated on the Hire Form, a Student Employment Update/Change/Termination Form should be submitted to adjust their end date of employment. An "update" form is not required if the original end date of employment is correct. When a student leaves a job assignment, use this Termination Checklist as a guide. Hiring and Supervising Guide The A-Z guide for hiring and supervising student employees. How to Hire a Student Refer to this guide for step-by-step instructions on how to hire a student employee. Sample Job Description Use this sample job description as a guide to help you write a detailed and informative job description. Job Classifications & Pay Scale Refer to this guide for help classifying positions and determining the appropriate rate of pay. Handshake Post your on-campus employment opportunities here. Refer to our Employer Guide for assistance creating an account. Never conducted an interview before? Here are some sample interview questions to help get you started. Employing International Students Review this page to learn more about the documentation needed to employ an international student on campus. Workplace Expectations Use this guide to help you develop a list of workplace expectations and write a contract. Sample Evaluation Refer to this sample student employee evaluation for assistance creating your own evaluation. Termination Checklist Terminating a student employee? Use this checklist to ensure that you have taken all of the necessary steps. Frequently Asked Questions How do I hire a student employee? How many hours per week may a student work? What is Federal Work Study? Find the answers to those questions and more here. 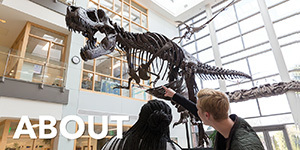 The Student Employee of the Year (SEOTY) Award is awarded annually to an outstanding student employee in recognition of their service and contributions to their department. The winner will receive a monetary award, plaque, and will be entered into the regional SEOTY competition. In order to be eligible, the student must have worked a minimum of one (1) semester part-time during the selection period: June 1, 2018 - May 31, 2019 (anticipated). Graduate, Teaching, and Research Assistants are not eligible. Individuals currently classified as temporary employees are not eligible. Limit of one (1) nomination per supervisor. Supervisors may nominate a student by completing the SEOTY Campus Nomination Form. Please answer each question thoroughly and provide detailed examples. 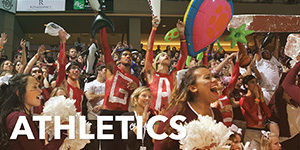 Email completed forms to Hannah Beam (burnetth@cofc.edu) by Friday, February 15. Late submissions will not be considered. 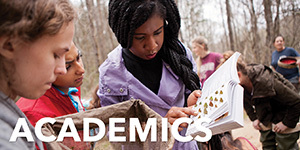 A committee comprised of faculty and staff will read and evaluate the nominations based on the following characteristics: reliability, quality of work, initiative, professionalism, and uniqueness of the student's contribution. If you are interested in serving on the selection committee, please email Hannah Beam (burnetth@cofc.edu) for more information. 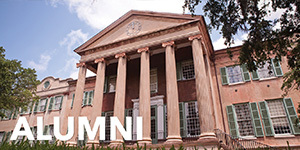 If you have questions, please contact us at 843.953.5692 or studentemployment@cofc.edu.